Local Main Street organizations in nine Indiana cities and towns are taking part in a new state program to grow business and entrepreneurial opportunities. The state launched the IMPACT Main Street program through a $100,000 federal grant. The Indiana Office of Community and Rural Affairs is rolling out the program as a pilot in nine communities, including Seymour, Fairmount, Tell City, Tipton, Rockville, Sullivan, Dillsboro, Elwood and La Porte. Through the pilot, the communities will work with the Ball State University’s Indiana Communities Institute to identify and implement business investment strategies in their downtown cores. The aim of the program is to catalyze economic growth in rural Indiana, said Jodi Golden, executive director of the Indiana Office of Community and Rural Affairs. Following the pilot, the state plans to make the program available to other Main Street organizations. 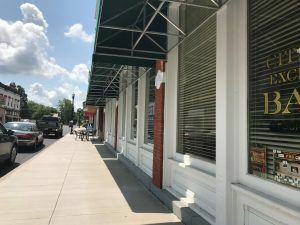 In addition to the new pilot, seven Indiana cities and towns are taking part in a consultancy with the National Main Street Center. Those communities include Angola, Beech Grove, Jasper, Madison, Peru, Terre Haute and Winamac. Through two-day workshops, community leaders will identify strategies to enhance their revitalization efforts. Currently, 133 Indiana communities across 81 counties take part in the state’s Main Street program. For more information on the program, please visit: www.in.gov/ocra/mainstreet.htm.